End-to-end user productivity software deployment to bring streamlined collaboration to your business. 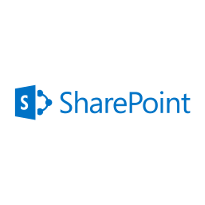 Microsoft SharePoint is widely used as a powerful business collaboration platform for many of the world’s most successful organizations. It provides a dynamic, cost-effective solution for organizations that are looking to add robust collaborative capabilities to their workflow. At QuestingHound Technology Partners, we can help you increase productivity by creating and deploying solutions that help organizations take advantage of their IT resources. If your organization is searching for a way to align your business’ technological tools with its operational workflow, look no further than our professional SharePoint deployment services. Provide your people with all the information they need by implementing a dedicated SharePoint platform. A central shared platform for storing documents and files that improves efficiency and organization. Clear and concise indexing allows users to find things faster. A integrated continuity protection system ensures there is communication between users so works are not overwritten. A complete revision history that provides roll-back capabilities. With these options, your workflow will be more organized, and cooperation between users and departments will be frequent and easier to depend on, setting the stage for successful fulfillment of important projects that will drive your business forward. SharePoint provides businesses with a great project management interface that allows employees to not be tethered to the office. With many of today’s businesses searching for options to increase the productivity of their team, adding mobility has become a priority. With the ability to do more from more places, your employees can take advantage of this additional agility to securely access tasks and files from anywhere. The dynamic capabilities of the SharePoint interface give organizations a powerful platform for cooperation between integral resources on a project. By integrating a SharePoint interface, your staff can collaborate on a project without being on the same network, using a central repository and communication tools to work in integrated applications together. With some development, your SharePoint can integrate with your most important applications, including your CRM software; in essence, adding a full-scale document management system to your centralized business administration. These integrations can go a long way toward giving your staff the dynamic tools they need to find success. We are your SharePoint Experts. Implementing a SharePoint solution is a pretty detailed process with many options to choose from. Typically, the implementing faction will need to have multiple servers available to successfully implement a SharePoint solution. If an organization were to do this in a traditional fashion, it could get very expensive and need a litany of support to ensure the interface works as designed. At QuestingHound Technology Partners we understand that your business doesn’t always have the capital to invest in physical hardware and the support to keep it running. We offer virtualized computing environments, virtualization services, and fully hosted SharePoint solutions to give your organization the options it’s looking for in a centralized collaboration interface. Our professional technicians can assess your organization’s IT and fit a SharePoint interface to your standards, whether you want to manage the platform yourself or have it managed for you. If you are looking for a powerful collaborative interface like SharePoint, at a price to fit your budget, call the technology professionals at QuestingHound Technology Partners today at 954-727-2200. Stop worrying about non-responsive IT providers, false promises or problems that never get solved. Let us take care of the technology elements that have the potential to hold your business back so that you can return to supporting those initiatives that drive it forward. If this all sounds like the forward-thinking, trust-based relationship with an IT provider that you’ve been waiting for, please give us a call at (954) 727-2200 or click the button below to get started on building the type of relationship that will serve us both well for years to come.